Looking for your next good read?? Yesterday was a success in letting everyone know about the great stories Electric Eclectic have. We’ve had support from all over the world. Thank you to Prakaash for saying this post in his blog. Follow him for some interesting and informative articles. Today is Electric Eclectic Book Blatt Day. If you see a post anywhere, can you please share it. All books are novelettes and quick reads. If you are a book lover, find your next read here. 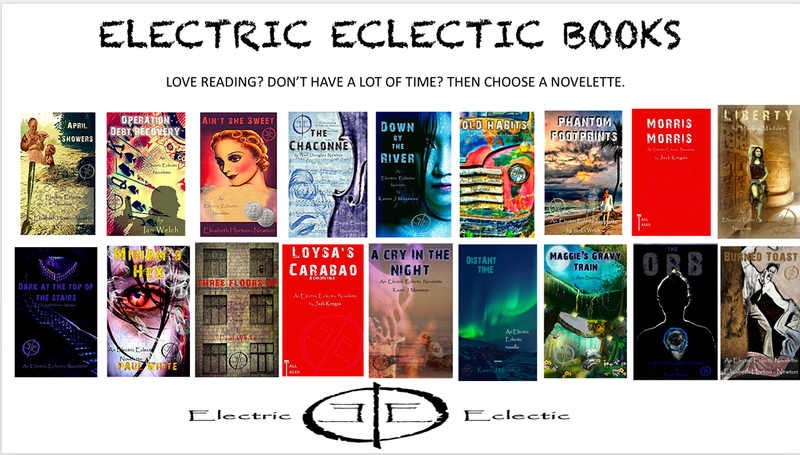 Electric Eclectic Books are from indie authors joint venture. For collaboration, you may contact Paul White and Karen J. Mossman.